Today environment secretary Michael Gove announced that the UK will back a total ban on insect-harming pesticides in fields across Europe – a decision that Friends of the Earth welcomed, while online DIY and garden retailer ManoMano revealed it will stop selling products containing glyphosate. Mr Gove has been applauded by conservation groups over his move to reverse the UK’s position on neonicotinoid pesticides, which he attributed to increasing evidence coming to light since 2013 when the Government opposed such a ban. Mr Gove said: “While there is still uncertainty in the science, it is increasingly pointing in one direction. The European commission is now working towards achieving a total ban on the use of these pesticides outside of greenhouses, with a vote planned for December. The UK’s U-turn means it could be very likely to pass. Friends of the Earth (FOE) is hailing the move as a success for its bee campaign. Chief executive Craig Bennett said: “Michael Gove is to be congratulated for listening to the experts. The scientific evidence for a complete ban on bee-harming pesticides is now overwhelming. 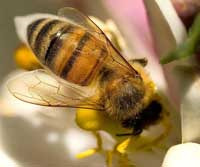 “Tougher restrictions on neonicotinoids are essential for our precious bees and the wider environment – and a significant victory for the public and supporters of organisations like Friends of the Earth who have called for tougher action on these chemicals. “To their credit farmers across the UK are already finding innovative ways to successfully grow crops without neonicotinoids, even ahead of the ban being extended. But lessons also need to be learned – we now need to move away from chemical intensive farming and instead boost support for less damaging ways of tackling persistent weeds and pests. Meanwhile Philippe de Chanville and Christian Raisson, co-founders of European DIY marketplace ManoMano have issued a statement today asserting that the business will take offending products off sale: "In light of the current debate around the use and sale of toxic pesticides, notably containing glyphosate that is known for causing harm to both the environment and people, ManoMano has decided to take a stand. “We will no longer be selling such products on our marketplace platform. We hope our decision will help lead to a change in the use of such products that are detrimental to our health and our planet." ManoMano is the first online marketplace specialised in DIY & Gardening. Philippe de Chanville and Christian Raisson launched the site in 2013 to make DIY easy and affordable for all by bringing together the largest DIY offering online. The retailer now operates in six countries across Europe with over 1.2 million referenced products and 1,200 partner sellers. It celebrated its first year of business in the UK last April reporting a turnover of £4.4million.